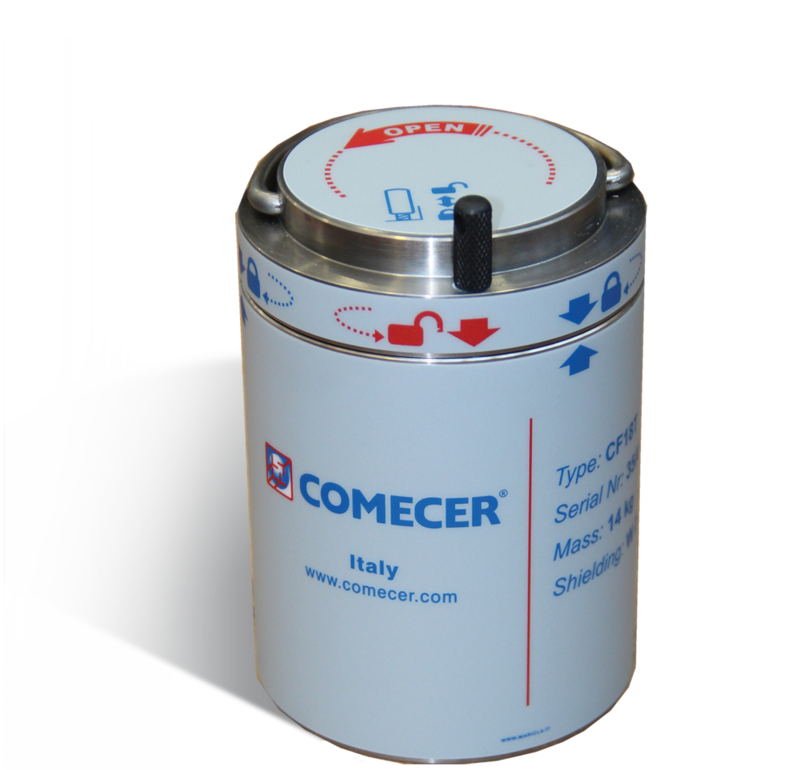 The shielded container CF18T is made up of wolfram and it is used to transport radioisotopes. The top is locked by means of a fixed joint (bayonet lockup). The lockup is equipped with a O-Ring seal that ensures a perfect tightness. 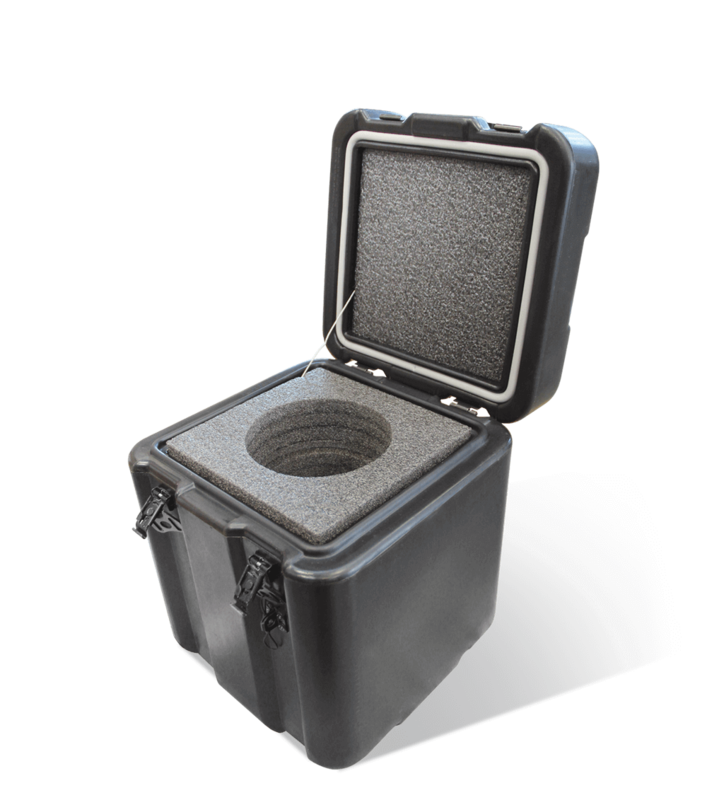 CF18T shielded container is also equipped with a built-in handle to enable an easy transport.